Reports are in that Tom Clancy, the king of the military technothriller, has passed into the great beyond. Whether you were a fan of his work or not, his influence cannot be denied. 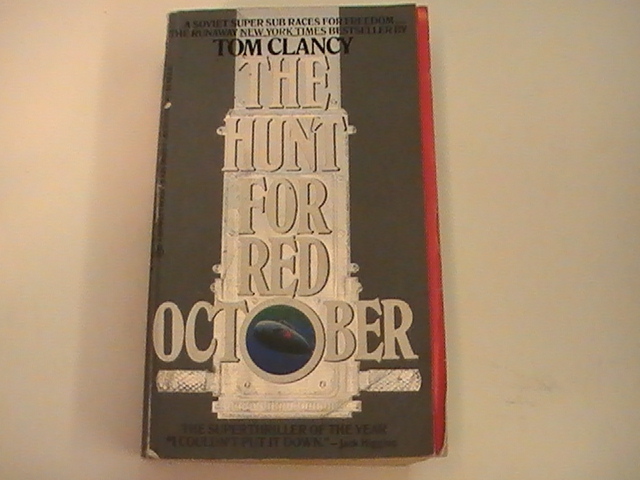 I remember back in the late ’80s when I was working at the local VFW, and a vet who worked the weekly coin show handed me a copy of The Hunt for Red October. I burned through it, but couldn’t get into Red Storm Rising for some reason. I was on a big fantasy kick then, and perhaps the all too real fear of nuclear annihilation turned me off to a book about war with the Soviet union. I also enjoyed Patriot Games, though I found the revenge angle a bit hard to swallow. I also found it amusing that to make an IRA terrorist a palatable villain, he made him a Maoist. Politics aside, Clancy wrote a good yarn. He certainly was an impact in the 80’s and early 90s.